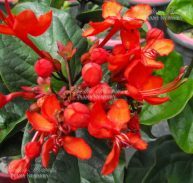 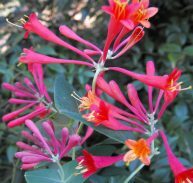 Lonicera species ‘Firecracker is a member of the Caprifoliaceae family. 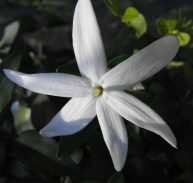 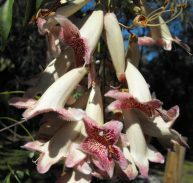 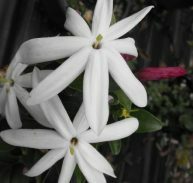 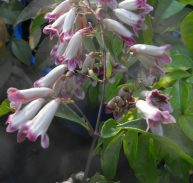 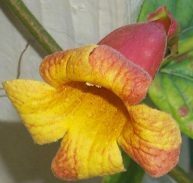 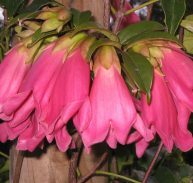 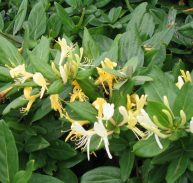 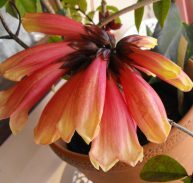 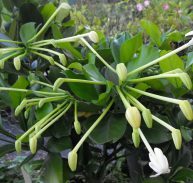 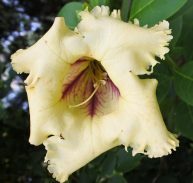 It is a hybrid Honeysuckle. 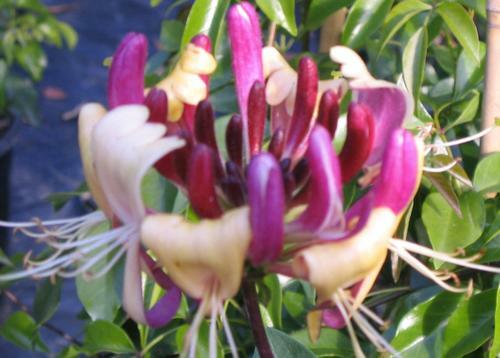 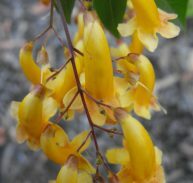 It is a vigorous, spectacular red/pink/gold prolific-flowering honeysuckle. 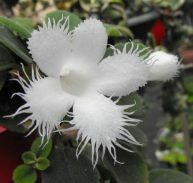 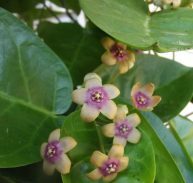 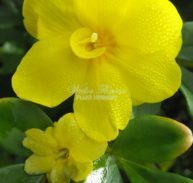 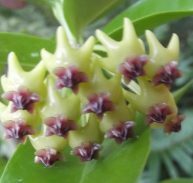 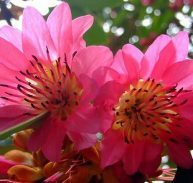 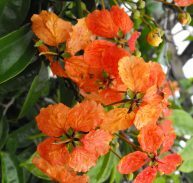 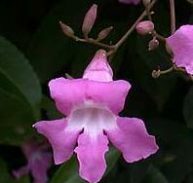 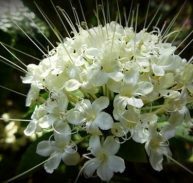 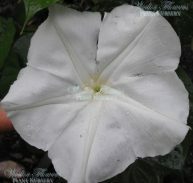 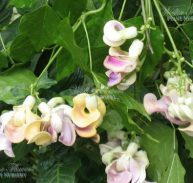 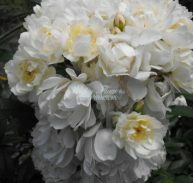 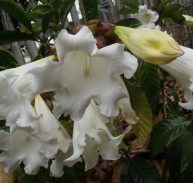 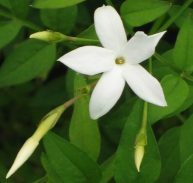 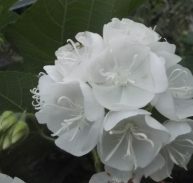 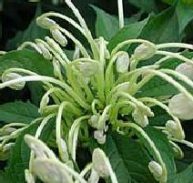 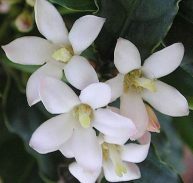 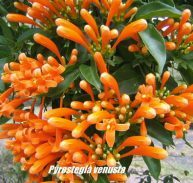 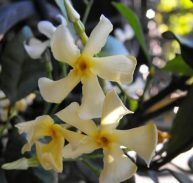 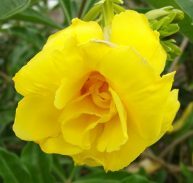 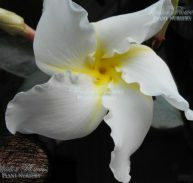 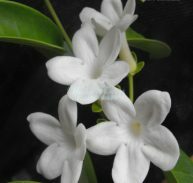 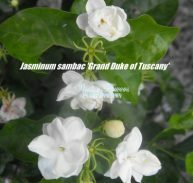 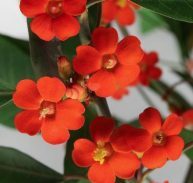 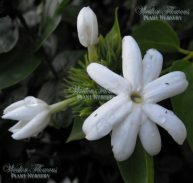 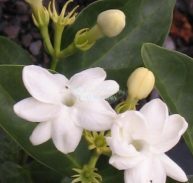 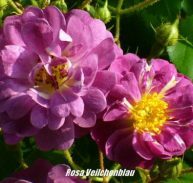 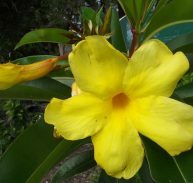 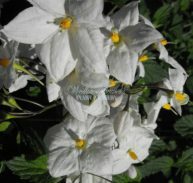 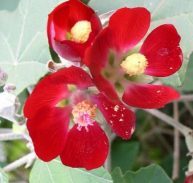 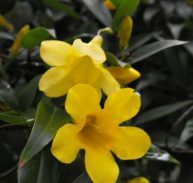 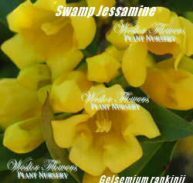 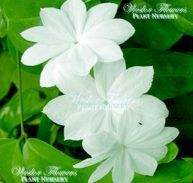 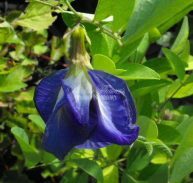 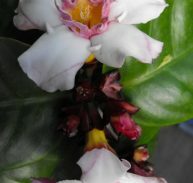 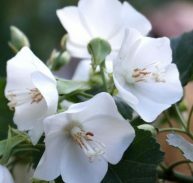 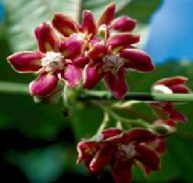 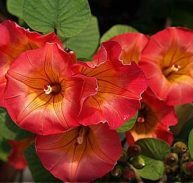 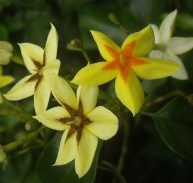 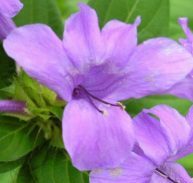 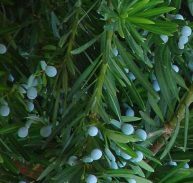 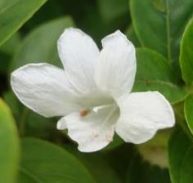 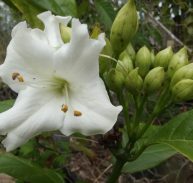 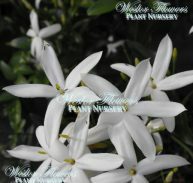 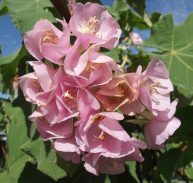 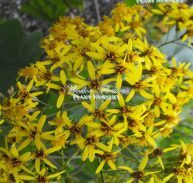 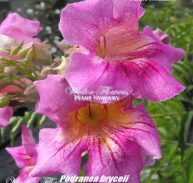 It has perfumed flowers in spring & summer and flowers at a young age. 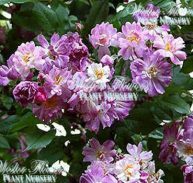 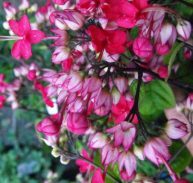 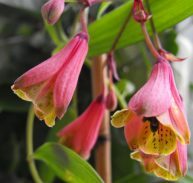 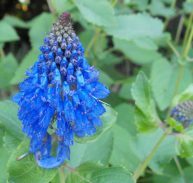 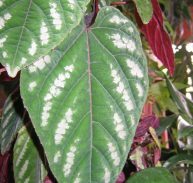 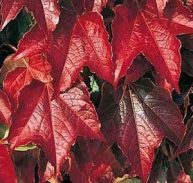 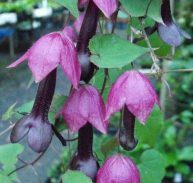 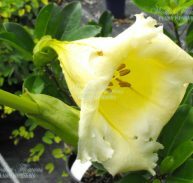 It prefers well drained soil in sun or part shade it is frost hardy. 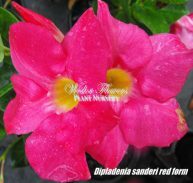 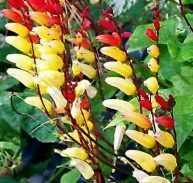 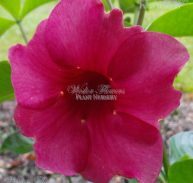 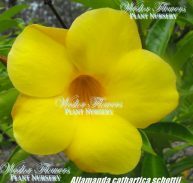 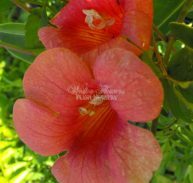 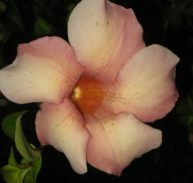 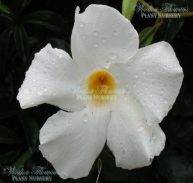 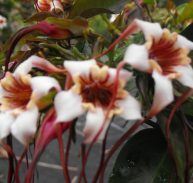 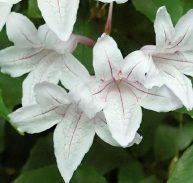 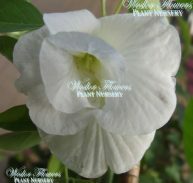 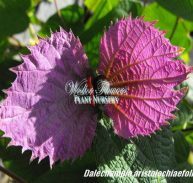 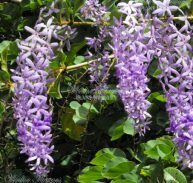 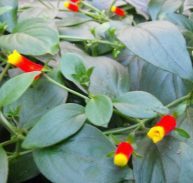 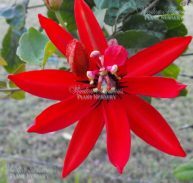 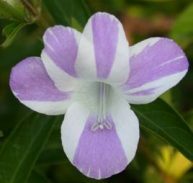 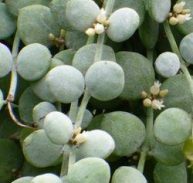 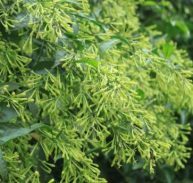 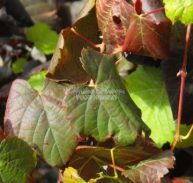 It is ideal for giving flower colour to other vines at times when the host is not in flower.